An Open Letter: Caged Animals x Too Much Dark. Caged Animals released another single from their upcoming effort, In the Land of Giants. “Too Much Dark” is a plaintive but kind-hearted plea. The song is musical therapy relating to a dark place that has become familiar to all of us at one point in our lives. In a candid open letter, lead vocalist, Vincent Cacchione, explains the meaning behind “Too Much Dark” and how the song came to be. 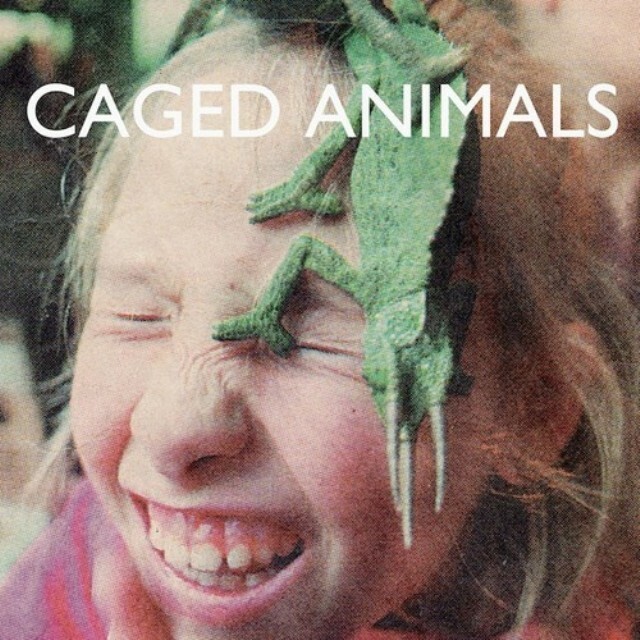 “Too Much Dark” was the first song I wrote for the new Caged Animals record, In The Land Of Giants. It’s a song that came to me at a vulnerable moment and helped me find my way to a stronger place. I had just finished writing The Witching Hour, a record I made with Soft Black. This was an album I began writing in 2008 during a period of vagrancy; living, secretly out of my old black Chevy, my friend Shilpa’s rehearsal space in Brooklyn, my girlfriend, Magali’s “no guests allowed” apartment, and my friend Matt’s futon. It was a collection of songs that examined some really dark feelings I was holding onto and the culmination of a worldview that had begun sometime after my father died. Almost three years went into the writing of that album and by the time it was ready to be recorded a lot had changed. The weight of my past began to feel a little lighter. As I listened to the final recordings of The Witching Hour I couldn’t have felt anymore satisfied. I had made it through this turbulent time and there was beautiful music on the other side. But as the songs played, a certain guilt about the darkness of its emotional content began to nag at me. It was the first time in those three years that I stopped to ask myself, if writing the album was something that needed to be done. There was already so much darkness on this earth, why should I add to it with music? While I’m still not sure what the real answer to that question is, the finished album remains unreleased to this day. While I was coming to terms with these feelings, I was doing a lot of searching and reflecting. I thought briefly that I wouldn’t write anymore and almost all of that year passed without a single song being written (significant because I am normally an obsessive songwriter, I wrote almost 100 songs before choosing the 10 that would be on The Witching Hour, for instance). Around this time I was lucky enough to see Jeff Mangum’s return to live performance at a friend’s loft space in Brooklyn. The show was staggering. Each note reverberating off the beautiful old wooden floors, echoing straight through our bodies and hearts. I watched some people around me tear up, other’s looked like a deep chill had entered the room. It was the most emotionally direct show I’d ever seen. When it was over I spoke with Jeff, for the first time, introduced indirectly by our mutual friend, Neil Rough, who wasn’t in attendance, but was the reason why we were able to see this performance. Jeff was tender and sweet, aware of the power that had just come over him and all in the room, but humble in its presence. I went home inspired and deeply intrigued by what Jeff was capable of doing. I needed to understand why this thing, that felt so pure and selfless, could’ve separated from him for so long. The next night I read an older interview with him that helped me understand it a little better. In the interview he talked about why he didn’t want to share his post-Aeroplane songs. I felt I could identify in my own way. He’d come to a point where he’d lost a touch of innocence and the sort of pain that was coming through in the music wasn’t something he was hoping to communicate with others. He decided it would be better to remain silent then to let these ideas out, a decision I both admired and feared. I thought about Jeff’s decision and began to ask myself some serious questions. Why did I want to write songs in the first place? What did I really want to tell people and make them feel? I knew honesty was important to me and didn’t regret the work I’d done but I was hoping there was something more inside of me. Something that could offer some optimism to myself and to my friends.